The Dingle Distillery is situated in one of the most iconic and picture-postcard beautiful areas of Ireland, overlooking the Atlantic Ocean on the Dingle peninsula, one of the most westerly points in Europe. 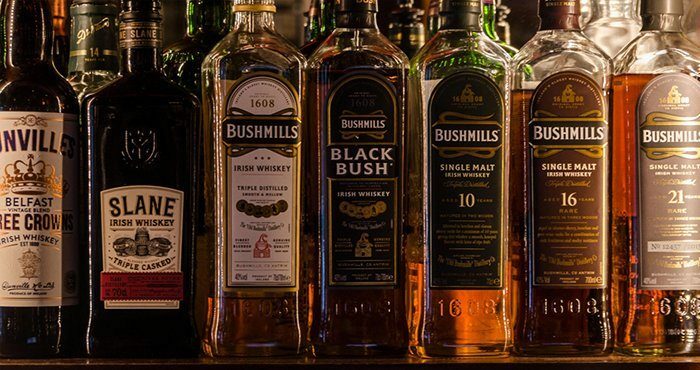 The distillery is a truly independent venture, driven by the same expertise that has seen the Porterhouse Brewing Company become internationally established. The idea that whiskey should be a total immersive experience is one the distillery clearly subscribes to, made evident with the opening of the accompanying Dingle Whiskey Bar in Dublin city centre. The capacity of the distillery is only about 700 casks a year, so it has a very artisanal approach to its production processes. This is exemplified by its innovative use of a boil bowl on its pot stills, which creates an increase in reflux and helps bring through lighter flavours and a smoother finish. Dingle Distillery’s first releases only arrived in late 2016, as the distillery had veered away from the route of using third party distillates to complement their produce. As a result, their Single Pot Still and Single Malt releases are introducing a totally new flavour profile to Irish whiskey, setting them apart from that of the established distilleries. These bottles are definitely unique and interesting, though we will have to wait a while for their matured casks and aged offerings. We await tasting them with great expectation.